Myrtle Beach and muscle cars: they go together like peanut butter and jelly! There’s just something iconic about cruising down Ocean Boulevard in a classic American automobile. And as spring gets closer and closer, convertible weather is right around the corner. This March, the premier car enthusiast event returns to the Grand Strand as the Run to the Sun Car Show commemorates its 31st year. With over three decades of history in Myrtle Beach, this show is sponsored by the Pee Dee Street Rodders club, a group of classic car enthusiasts that organize an amazing three-day schedule packed with shows, demos and vendor events that are sure to be a car lover’s dream. The festival runs from Thursday, March 21 to Saturday, March 23. The show grounds are located between 21st and 29th Avenue North along Kings Highway, with hundreds of classic American and import muscle cars covering several blocks. From Mustangs to Corvettes to custom chopped and dropped street rods, the horsepower on display at the Run to the Sun Car Show will be off the charts! Participants can visit the Run to the Sun Car Show website and pre-register until March 11 for a discounted fee of $40, while day of show registration costs $45. Proceeds of the Run to the Sun Car Show are donated to the Children’s Miracle Network and the National Multiple Sclerosis Society, so this is a fantastic opportunity to enjoy showing off your ride and give back to a couple of amazing charities. In 2018 over 3,200 cars and trucks were displayed and over $98,000 was donated to the Children’s Miracle Network and the National Multiple Sclerosis Society, and 2019 aims to be even bigger in terms of autos on display and funds raised. 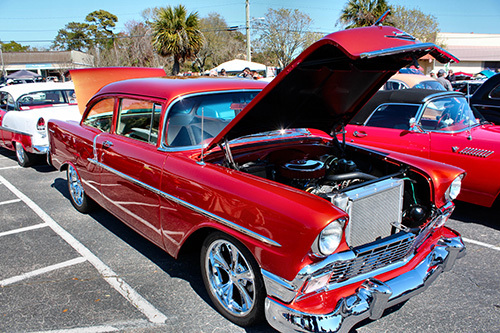 Whether you’re a classic car owner or just enjoy checking out beautifully restored pieces of auto history, the Run to the Sun Car Show is a event you can’t miss on your spring Myrtle Beach vacation! 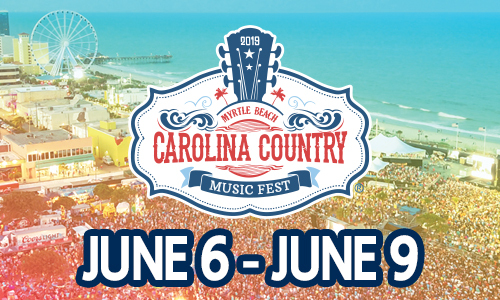 When you’re planning your spring trip to Myrtle Beach for the Run to the Sun Car Show let Beach Vacations help you book the best accommodations in Myrtle Beach! We offer spectacular Myrtle Beach and North Myrtle Beach condos that will be perfect for your Grand Strand vacation. From two bedroom Myrtle Beach condos at beautiful Myrtlewood Villas to huge four bedroom condos at Barefoot Resort in North Myrtle Beach, Beach Vacations will make sure your next spring Grand Strand vacation is a memorable one. Check out our specials page for unbelievable savings on your upcoming Myrtle Beach spring vacation!